If you don’t like the career you’re in, you might want to work in the swimming community and be a part of our big swimming family! Go here to see 1599 Swim Jobs. Simon Fraser University, a National Collegiate Athletic Association (NCAA) Division II institution invites qualified candidates to apply for the full-time position of Assistant Coach, Swimming. Reporting to the Head Coach, Men’s and Women’s Swimming, this position is responsible for aiding the head coach in the development and coaching of the SFU Swimming program, within established guidelines, policies and procedures of Simon Fraser University and the Department of Athletics and Recreation. This is a position tailor-made for a young career coach – we are looking for a “coachable coach” full of enthusiasm for the sport, who is ready to learn and grow with our team. Our goal is to help you become the best possible coach you can be! You will get a high degree of ownership and authority over 2 training groups (one HS-aged, mostly freshmen and sophomores not yet ready for our Senior group; and our top 10&U training group); you will also coach alongside both our Head Coach and Head Age Group Coach, with plenty of opportunities to learn from them. Additionally, we value professional development and will cover expenses for career enrichment opportunities, including local and national coaching clinics, sabbaticals to learn from other teams, and/or additional classwork. WAB is a leading international IB curriculum school with an enrollment of 1350 students aged 3-18. The student body includes over 50 nationalities and the teaching faculty 22 nationalities. The Aquatics Director is responsible to the Athletics and Activities Director for overseeing the WAB aquatics activity programs. 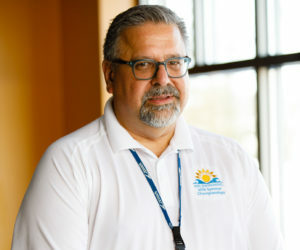 The Aquatics Director will manage the daily operations of the pool and ensure a safe, healthy, stimulating and attractive aquatic environment for all WAB programs. He or she will be responsible for the pool as a facility and resource for the school. Actively promote and provide leadership and support for all PE aquatics programs and ASA activities. The Aquatics Director will be directly responsible for the TigerSharks Swim Team. This position is responsible for assisting with all phases of the Division I Women’s Swimming program at the University of Richmond. Specific responsibilities include but are not limited to: coaching and student-athlete skill development, recruiting, administrative tasks related to the operation of the program, and providing a positive collegiate experience for student-athletes. The University of Denver Hilltoppers are looking to hire 1-2 part time coaches. Positions range from senior assistant coach to group lead coaches of various ages ranging from athletes to 10&U to senior. We would like to begin training for new staff during summer months with full responsibilities beginning in late August/early September of 2018. Our club is a very stable environment. We are owned and operated by the University of Denver. We do not have a parent board. Head Coach Shawn Smith has coached at DU since 1994, and has been Head Coach since 2001. Our team of just over 300 athletes has been recognized as a Gold medal club in the club excellence program three of the last ten years. Regis is a dynamic Catholic coed university located in Weston, 12 miles from Boston. The university has a classic New England campus and is known for its close-knit, welcoming community. Through service and global learning opportunities, Regis is dedicated to creating leaders who can solve complex problems around the world. There are 2,000 undergraduate, graduate and doctoral students. The Assistant Coach for Swimming will hold a full-time, 10-month appointment in the Department of Athletics and will report to the Head Coach for Swimming & Diving. The coach will assist with coaching, organizing, administering and developing a successful intercollegiate athletics program. The coach complies with all rules and regulations of the NCAA, the University Athletic Association, Washington University, and the Department of Athletics. Nittany Lion Aquatic Club (NLAC) is a year round USA swimming program located in State College, PA, with approximately 85 to 100 age group swimmers ranging from novice to college age, a staff of 4-6 coaches, and an oversight board of elected volunteers. 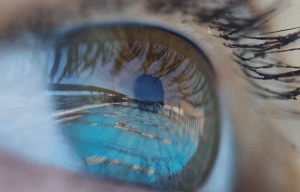 NLAC is independent from, but principally uses, the State College Area School District (SCASD) pool for training and the indoor and outdoor pools on the Penn State campus for meets. Under limited supervision and direction, the Assistant Coach is responsible for supporting the Head Coach in all aspects of the Swimming and Diving Program for the College. Using independent judgment and discretion, the Assistant Coach has responsibility in such critical areas as instructing student athletes, recruitment, supporting student athlete academic progress, budget management, scheduling, managing travel, compliance with NCAA and NESCAC rules and regulations and internal policies and procedures, and ensuring that the overall integrity and image of the program meets the College’s high level of excellence. We are looking for a competitive and charismatic individual to fill the year round salaried position of Head Coach. We seek a coach who is enthusiastic to develop the individual swimmers and the team to the fullest potential. The coach will design, coach and lead practices for our five swim levels. The head coach will also recruit, train and manage assistant coaches to develop our swimmers to the highest level possible. Practices are typically between 3pm to 8pm on weekdays and 8am to 12pm on weekends with meets on weekends during the season. Bring your vision, your love of swimming and your passion for building a team! Rice University Women’s Swim team and RICE Aquatics (RICE) is seeking a Volunteer Assistant Swim Coach with the collegiate team and Full Time Lead Coach to work with our competitive age group program. 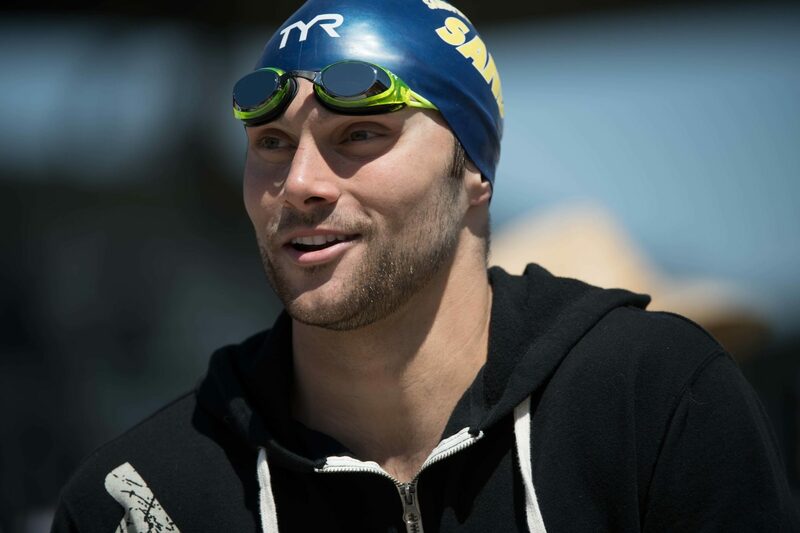 This coach would be an integral part in our missions to provide professional coaching while emphasizing: individual and team growth, healthy lifestyle and values of swimming as a lifelong sport. 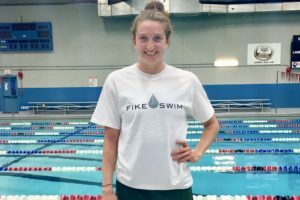 Rice University is a private and prestigious university sponsoring a nationally competitive NCAA Division I women’s swimming program and RICE is a coach-owned club training year round out of Rice University’s 50m x 25yd outdoor facility in the heart of Houston TX. RICE has a 200 + Age Group/Senior program and a 100 strong USMS program that serves the surrounding “inner loop” of Houston. Within the framework of the Loyola University New Orleans mission of educating the whole person, the Assistant Swim Coach will support both the men’s and women’s swim teams by fulfilling the duties and responsibilities of the position. 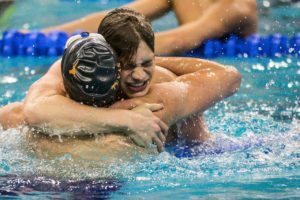 Responsibilities include, but are not limited to, assisting the Head Swim Coach in providing coaching expertise and administrative duties for the intercollegiate Swim program on a part-time basis. The FISH is expanding its program further south into the beautiful state-of-the-art Jeff Rouse Swim & Sport Center in Stafford, Virginia – and we are looking for a full-time coach to lead the new site. Located about an hour south of Washington D.C., Stafford is a growing area with a lot of opportunity and potential. As we are developing the program in a new area, we are looking for someone who is energetic and passionate about the sport, someone who is dynamic and willing to learn, and someone who has a proven record of developing and inspiring swimmers to succeed. 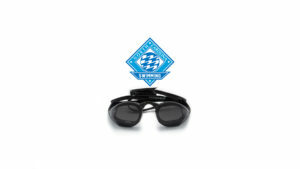 The Edina Swim Club (ESC), is a level 4, Silver medal club located in Edina, MN. ESC is seeking qualified applicants for the position of Head Age Group Coach. This will be a leadership role in our Age Group Program. This position reports directly to the Edina Swim Club Head Coach. Start date is August 1, 2018 and minimum ASCA Level 3 certification. The DCST program missionis a part of the Kishwaukee YMCA and, as such, is a nonprofit, volunteer administered, professionally coached organization. The Kishwaukee YMCA provides competitive opportunities to the area swimming community through its district, state and national affiliations. DCST also abides by the YMCA’s philosophy of competitive swimming. The Swim Marketing Specialist will work closely with the marketing and sales teams to manage the US marketing initiatives in our Swim business segment. Primary responsibilities will include creating and maintaining detailed marketing calendars to efficiently execute global marketing strategies and product launches within the US market, coordinating between graphic design, marketing, product, and sales teams to create needed marketing deliverables for product launches and marketing campaigns, and be the resident swim marketing expert for the US market. The Aquatics Department at Bay Club Redwood Shores, A Bay Club Property, is currently seeking a motivated and ambitious Head Swim Coach. Under the direction of the Aquatics Director and Director of Competitive Swimming, the Head Panthers Swim Coach is responsible for managing and coaching the year round USA swim team; maintaining a safe and effective learning environment while focusing on the fulfillment of clients’ swimming goals; achieving personal revenue goals; and providing the best customer service and hospitality to members and guests. The Illinois Tech Swimming and Diving program is currently seeking a Part-Time Assistant Swimming Coach. This position will serve both the Men’s and Women’s teams and will report directly to the Head Coach.The position is part-time, with an expected contribution of approximately 20 hours per week over the course of the 2018-19 academic year (approximately 40 weeks). Pay is commensurate with experience. The Robert K Fox. Family YMCA of the Lancaster and Fairfield County is actively seeking a Head Coach to lead and grow our swim program. The ideal candidate will be able to work hand in hand with our parent board, hire, lead and manage our age group staff. The Head Coach should be ready to continue our success with national level swimmers and help develop our future swimmers. While pursuing graduate studies, the Graduate Assistant will be assigned duties as an Assistant Coach of Men’s and Women’s Swimming. Responsibilities include planning and implementing practices, mentoring student-athletes, recruiting, adhering to HCAC and NCAA rules, and other duties as assigned by the head coach. provide a hands-on learning experience with a NCAA Division III sports organization. The W&J athletic internship program is an excellent step toward a coaching career in a number of different sports. The internship provides a stipend, housing, and a meal stipend. Opportunity available in the sport of Swimming & Diving. This opportunity will begin August 2018. West Hollywood Aquatics is a masters swimming and water polo team founded in 1982 with approximately 180 members. Our team currently offers 14 swim workouts a week with a membership that includes competitive as well as recreational swimmers. We were founded in the Southern California city of West Hollywood as an organization training for the first Gay Games and currently have an inclusive and diverse membership spanning across the Los Angeles area. Candidates must have a clear understanding of NCAA and American Athletic Conference rules with regards to recruiting, financial aid, and eligibility. Candidate must demonstrate strong interpersonal and verbal communication skills with the ability to build relationships with a wide range of constituencies. Must also demonstrate the ability to communicate effectively in writing. A strong customer service orientation is essential. Candidate must possess strong organizational, planning and time management skills with the ability to prioritize tasks. A strong focus on attention to detail is essential. The Head Swim Coach is responsible for organizing and administering all phases of the swim program, including but not limited to: scholar-athlete skill and leadership development, the recruitment of outstanding scholar-athletes, practice organization, meet day coaching, budget management, scheduling and supervision of assistant coach. Teaching in the physical education curriculum is also expected. The Head Swim Coach will administer all aspects of the swim proficiency test, a graduation requirement. Assist Head Coach in the creation of season plans for all senior levels. Assist Head Coach in developing team drill progression. Plan workouts for all assigned senior groups. Assist Head Coach in planning and implementing senior level group dryland workouts; supervise athletes during sessions. Represent Patriot Aquatic Club respectfully. Northwest Arkansas Aquatics (NWAA) is seeking a dynamic, motivated, enthusiastic, passionate and highly-skilled CEO/Head Coach for our year-round competitive swim program. Our club is located in Bentonville, Arkansas. NWAA is a long-established 501© (3) non-profit organization supported by a parent-run volunteer Board of Directors elected annually by the membership. 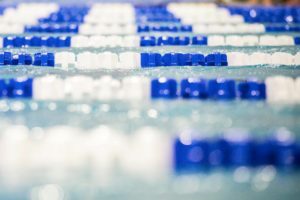 Central Iowa Aquatics (Des Moines, IA) is seeking 1-2 coaches to work mostly with swimmers ages 12 & Younger and occasionally with the High-Performance groups. CIA is the leading swim program in Iowa, a Bronze Medal Club and is a nationally recognized team for competitive swimming excellence. Wittenberg University is accepting applications for a Graduate Assistant (GA) for Men’s and Women’s Swimming & Diving. This is a part-time position. The position will report to the head coach and assist in leading all aspects of an NCAA Division III athletic program. The successful candidate will complete the duties and responsibilities outlined below during the Fall 2018 and Spring 2019 semesters. Candidates must possess excellent organizational and communication skills and be able to interact effectively and appropriately with student-athletes, parents, alumni, faculty, peers, community members, and administrators. Swim Charleston is seeking 1- 2 coaches for our year-round age group team. The ideal candidate will have an education background, be willing to work 15 hours per week and one 2 day meet per month, however, hours and days are flexible for strong candidates. 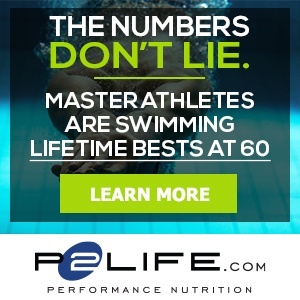 Depending on experience, salaries start at $18/hour (plus bonuses), with opportunity for additional income in our lesson, swim team readiness, and Masters programs. The fee to submit a Swimming Job is very low, only $50, and SwimSwam leverages the Swim Job to social media, @SwimSwamNEWS (with 100,000+ followers) and SwimSwam Facebook (with 632,000+ fans). I also leverage Swim Jobs on @GoldMedalMel (with 34,200+ followers) and GoldMedalMel Facebook (with 253,000+ fans). We’ve learned Swim Jobs are important to our audience. They like knowing what jobs are available in our big swimming family.